A great set of golf irons may be the single most important purchase a golfer can make. Irons that fit a golfers swing style result in a more consistent distance and better playability. Plus, today’s best golf irons can last many years even under heavy play, making it an investment that lasts. With the different amounts of golf iron sets on the market, one might think it is hard to find the right one for them. Thanks to the advances in technology and the willingness of manufacturers to better market their clubs, finding the right set of golf irons has never been easier! Our golf irons review takes a look at the 16 best golf iron sets on the market and sums up the details that really matter, helping you make a better decision as to which sets are best for you. And remember, golf is a very personal sport where one type of club may work for one person but not another. So make sure that if you are looking to purchase an iron set, to choose the configuration that is right for you. So without further ado, here is our review of the 16 best golf irons on the market! Taylormade’s P790 Irons combine a traditional forged blade style with new advanced techniques like independent weighting to achieve an excellent mix of distance and feel. The P700 series of golf irons have always been a leader that players can rely on to deliver the best performance of any iron set. This year’s set includes Speed Foam on the inside of the club face to create a soft feel and allow for more shot shaping. Taylormade also included individual tungsten weighting that is inserted near the center of the club to help create better inertia and MOI. Another benefit of the individual weighting is increased forgiveness on shots low on the clubface. 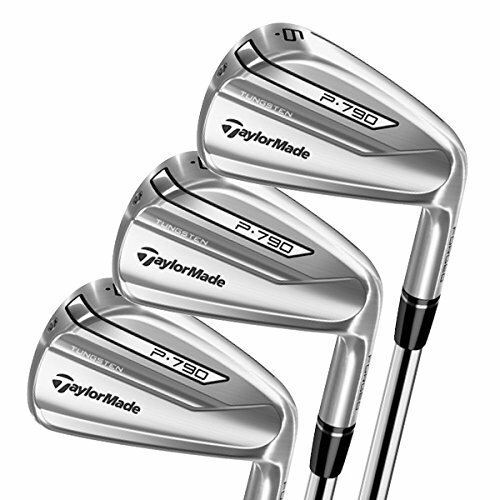 By choosing to make the clubhead of the P790 irons out of 4140 carbon steel, Taylormade was able to decrease the face thickness to an impressive 1.5mm! This gives the club great pop, resulting in shots that just jump off the club face. Golfers have many choices to customize the P790 set to fit their personal playstyle the best. Both graphite and steel shafts are offered in flexes from senior to x-stiff. Players can also choose to have either the 3-PW or a 4-PW with an AW. As one of the top-rated golf irons on the market right now, the Taylormade P970 offers great feel, distance, and control thanks to its inclusion of new technology on top of the tried and true blade style. 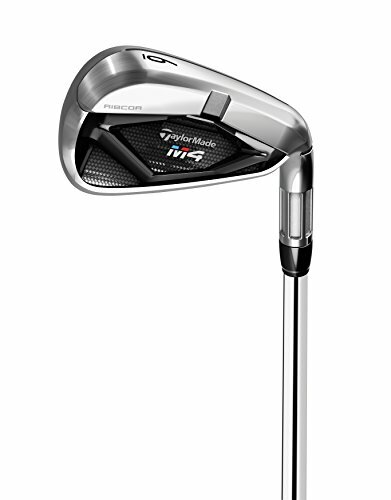 Although the M6 Irons look very similar to last years M4s, new features have been added such as a fluted hosel and speed bridge to give golfers a club that has better stability and center of gravity. As Taylormade’s top of the line cavity back irons, the M6 irons add continued improvement over last year’s iteration. This year’s biggest feature is the Speed Bridge that connects the bottom of the blade with the top of the face. The Speed Bridge should reduce overall clubface vibration and create faster swing speeds. Included with the M6 irons is a Speed Pocket design that gives the club more distance and forgiveness than last year’s model. An interesting feature on the M6 irons is the inclusion of 360-degree fluting on the hosel. According to Taylormade, these flutes create a better center of gravity that results in higher shots and more forgiveness to shots low on the face. 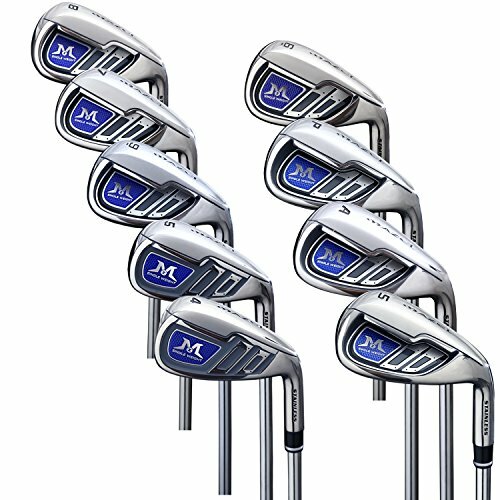 Available in 2 shaft types (Graphite & Steel), 3 shaft stiffnesses (Senior, Regular, & Stiff), and 7 club configurations, the M6 line has an iron set for any golfer. Cavity back irons are meant to be extremely forgiving while allowing for a great distance. The Taylormade M6 irons meet those expectations and go further, making them one of the best iron sets for golfers of any skill. Big Bertha has been one of Callaway’s longest running series of clubs and for good reason! Packed full of the latest and greatest technology and with more set options than any other iron sets, this year’s Big Bertha Irons continue to add to the pedigree. New to the Big Bertha lineup is the inclusion of what Callaway calls Suspended Energy Core Technology. To create this Suspended Energy Core, a metal injection molded piece of tungsten is placed within a urethane cover and placed deep inside the cavity behind the bottom of the clubface. This creates an easy to hit club that launches the ball easier and higher than ever before. Callaway also makes use of a 360 Face Cup design that is usually present on their hybrids and drivers. The Face Cup Design helps golfers get better distance out of mishits, including those near the bottom of the clubface. A soft black finish makes the irons standout in the crowd but in a very subtle way. Another positive of a black finish is that it is very easy to center the ball on the clubface thanks to the improved contrast. No matter your preference or swing style, Callaway has you covered and offers the Big Bertha Irons with 5 shaft options, 3 flexes, and an impressive 12 club configurations. 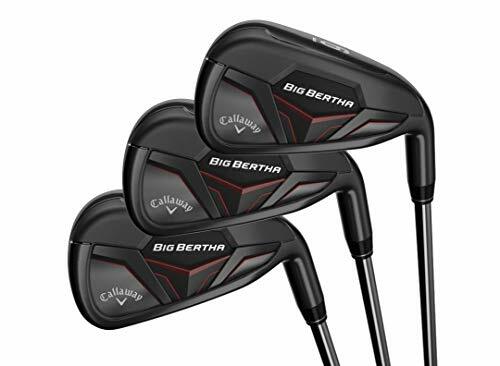 This year’s Big Bertha Irons are by far the best Callaway Irons offered in a cavity back design and will help take your game to the next level! 5 Step Forging Process-Forged 5 times to deliver more precise iron shaping and a more refined grain structure for superior feel as demanded by the best golfers. Tungsten Tour Weighting-Reconfigured to match Rickie Fowler's iron on tour, an additional tungsten insert is strategically positioned on the sole for tour preferred accuracy and precision. CNC Milled Face & Grooves-CNC Milling delivers more precise face and grooves structures for improved spin and trajectory. Flow Set-Progressive set composition flows gradually from forgiving, cavity back long irons (3-6 iron) to muscle back short irons (7-PW) designed for precision and scoring. DBM Black Finish-Cobra's most durable black satin finish, DBM (Diamonized Black Metal) provides extreme resistance to wear for longer lasting, better looking irons. Possibly the most interesting set of irons on the market, the Cobra King Forged CB/MB irons combine the forgiveness of cavity back clubs and the feel and precision of muscle back clubs into one full package. The Cobra King Forged CB/MB Irons set is specifically made up of cavity back irons for clubs 3-5 and forged muscle back irons for clubs 7-PW. This split set up allows for more forgiveness on longer irons thanks to the cavity back design and a muscle back design gives a greater feel for short irons. Maybe the shining highlight of this set is the muscle back forged irons. Cobra has designed their muscle back irons to include tungsten weighting at the sole of the club. Unlike some other forged irons, Cobra opted to use CNC milling of the face and grooves for their premium forged muscle back clubs. Because of these features, Cobra has created some of the best forged irons on the market. Another nice feature of the Cobra King irons is the inclusion of a premium satin black paint job that is meant to hold up better than traditional black clubs. 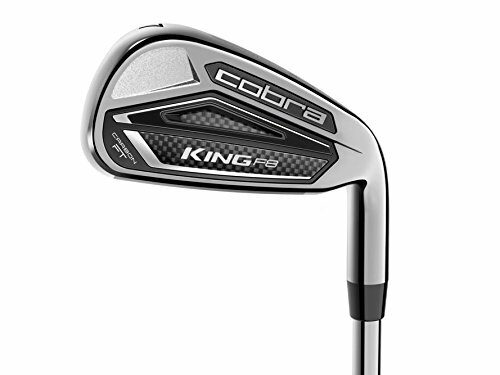 The Cobra King Forged CB/MB Irons are the absolute best golf irons for mid handicappers who are looking to make the transition from cavity back clubs to a forged blade style. The best of both worlds is offered at a price just a bit higher than other leading cavity back sets. 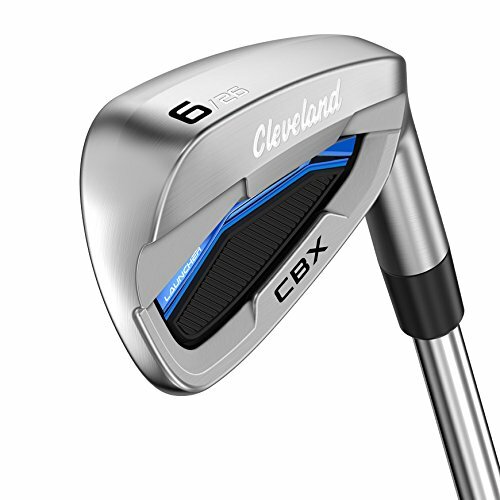 Cleveland is mostly known for its fantastic wedges, but with the Launcher CBX Irons, Cleveland brings its tried and true wedge technology to the irons market. 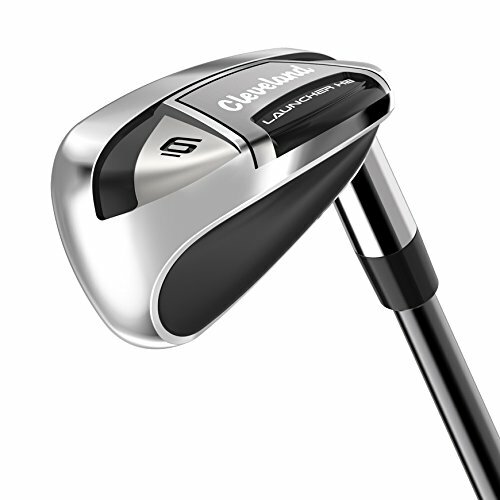 Upon first look, the Cleveland Launcher CBX Irons look very clean thanks to a minimalistic design. So where is the game-changing technology one may ask? Well, Cleveland took the subtle approach to include features that give players the performance they need. First is the inclusion of Face Cup Technology, which allows for more forgiveness on mishit shots. Similar technology can be found on Callaway’s top of the line iron sets. Cleveland also added features commonly found on their wedges to the Launcher CBXs. First is Tour Zip Grooves to enhance short game spin, and Double Laser Milling to allow for better feel and contact on all shots. The “V” Sole gives greater club stability and better turf interaction on almost all lies. Another benefit from the “V” Sole is the increase in forgiveness on all shots that are outside of the sweet spot. The Cleveland Launcher CBX Irons not only look great but bring game-changing distance and forgiveness thanks to Cleveland’s attention to the details. Forged VFT Pwrshell Face-A thinner, variable thickness face design enhances the active sweet zone for faster ball speeds and higher lauch across all points on the face. 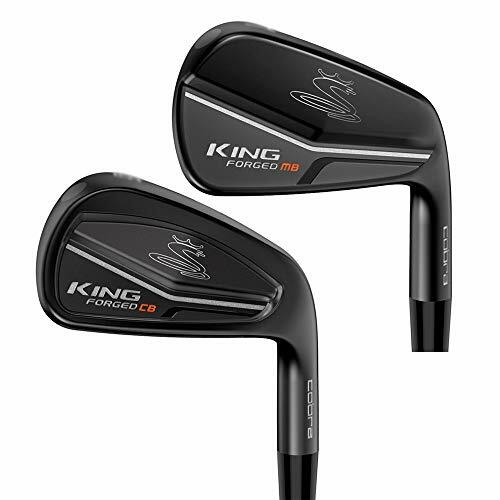 Progressive irons are beginning to become very mainstream and with the King F8 Irons, Cobra looks to bring their idea of a progressive iron set to all golfers. Most cavity back irons tend to be cast rather than forged, but Cobra thought that even cavity back clubs can benefit from the forging process. And Cobra was right! Having a forged clubhead gives better feel and distance thanks to the Forged VFT Pwrshell Face. And to give the King F8 irons better feel and reduced vibration, a carbon fiber insert was placed in the back cavity of each club. The main selling point of the King F8 irons is the progressive styling of both the clubheads and grooves. For the progressive clubheads, Cobra makes a hollow style for long irons and a cavity back style for shorter irons. Cobra pairs these progressive stylings with different groove types like v-grooves, u-grooves, and wedge grooves to optimize spin. As with all recent Cobra clubs, the King F8 Irons are Cobra Connect compatible allowing a player to track their swing stats. Progressive style clubs can offer great playability for the average golfer and Cobra’s King F8 Irons are one of the best progressive iron sets available. Progressive Power Holes: Long irons have three rows of Power Holes for maximum distance. Shorter irons have fewer Power Holes with optimized weighting for maximum feel and precision. Ultra Thin Face: Hot, responsive face for longer shots and better feel. Performance Iron Aesthetic: With straighter lines, a cleaner top line and improved weighting, D7 combines the look of a player's iron with the benefits of Super Game Improvement Technology. 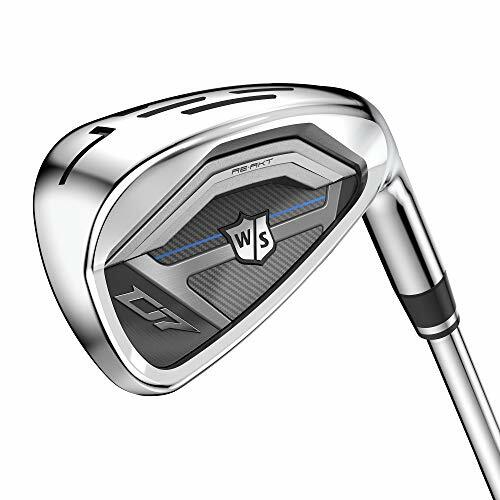 In recent years Wilson has been taking their golf equipment business to new levels, and one of their more premium line of golf clubs the Staff D7 Irons bring golfers great performance at an equally as great price. In the golf business, Wilson is sometimes seen as the value brand that is great for beginners or the casual player. But the Staff line of golf products have gotten better over the years and really does deliver performance similar to other top brands. Two features that give the Staff D7 Irons better performance and great distance are the Ultra Thin Face and Precision Weighting. With the Ultra Thin Face, the Staff D7 Irons have great “Pop” when connecting on full swings. Mix this hot face with precision weighing and the Staff D7 Irons become easy to hit in almost any lie. Another interesting feature is the inclusion of Progressive Power Holes on the sole of the club. According to Wilson, these power holes are meant to increase clubhead speed resulting in more distance. These Power Holes seem to be similar to other brand’s Power Slot, which has proven to create more distance. It looks like Wilson’s Philosophy with the Staff D7 Irons is to include technology that is proven to make a better set of irons while forgoing other extras to create a great value iron set. Technology and innovation come together on the Taylormade M4 Iron to create a set of irons that offer some of the best distance of any cavity back irons. The biggest addition to the M4 Irons is the inclusion of RIBCOR Technology that creates a more flexible face and better CG weighting. RIBCOR also creates a more rigid toe, keeping mishits from going as far off target. Taylormade took a new approach to clubhead weighting, spreading the weight over the heel and toe of the club. This small change has resulted in much greater MOI and better launch angles compared to the Taylormade M2 Irons. Speed pocket technology finds its way on the M4 Irons and has a relatively subdued look compared to other Taylormade products. Interestingly, the speed pocket is not found on the M4’s wedges or 9 iron. Maybe more for looks rather than function is the Fluted Hosel. Taylormade claims that a fluted Hosel creates more mass low in the clubhead making shots launcher higher and easier. Although the lessening of weight near the hosel should place more CG at the bottom of the clubhead, the amount of weight removed from the hosel through fluting may not have significant changes. 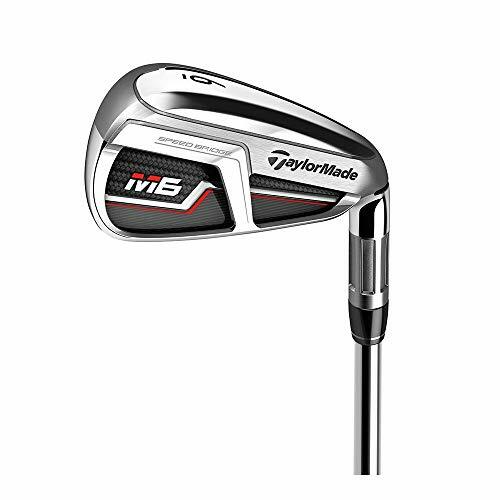 Despite being last year’s model, the Taylormade M4 Irons feature similar technology as this year’s M6s and can be had at a large discount. A great way to upgrade your bag for a great price! One of the leaders in the hybrid style golf irons, Cleveland’s HB Irons combine hybrid technology with traditional iron features to create the most forgiving irons on the market. For players that have a hard time generating consistent contact with traditional style irons, hybrid style irons may be the answer. A hybrid style iron combines the loft and face of an iron with the extended hollow back of a hybrid style club. Cleveland’s HB Irons include a HiBore Crown that offers greater club stability and shot forgiveness. Internal stabilizing ribs found in the hollow part of the tank provide reduced vibration and better launch angles. The clubface is made of HT 1770 Steel which is first forged, then inserted into the hollow tank. A high strength forged steel face gives the HB Irons great feel and playability. Hybrid style irons are not for everyone, but for those that are looking for more consistency and better forgiveness they are worth a try. Players also reported a slight boost in distance thanks to the increased launch angle. Overall, the Cleveland HB Irons are the best irons for high handicappers who could benefit from more forgiveness and greater distance that comes with hybrid style irons. Callaway XR OS Irons are Callaway’s mid-level iron set that is meant to offer premium performance and craftsmanship at a lower price point. Like all other Callaway Irons, the XR OS Irons feature Face Cup Technology that increases swing speed across all skill levels. Add in a Center of Gravity that is lower in the clubhead and the XR OS Irons become one of the easiest irons to hit. Callaway also focused on creating unrivaled forgiveness by making the sole of the club wider and longer. This change makes the XR OS Irons easier to play off of uneven lies and allows for a better flight of mishit shots. As far as configurations go, the XR OS Irons can be purchased in two different shaft types, three shaft flexes, and seven club configurations. Everyone should be able to find a combination that matches their specific play style. 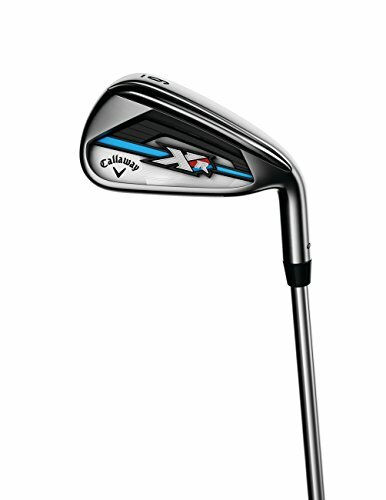 If you are looking to upgrade your irons to an affordable set that offers some of the best forgiveness on the market, look no further than the Callaway XR OS Irons. 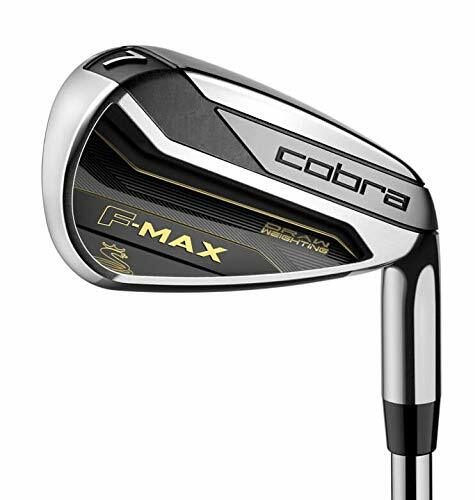 Ultralight clubs have become much more widely accepted since they promote faster swing speeds and with the Cobra F-Max Irons, any player can get premium ultralight clubs for a low price. The main selling point of the Cobra F-Max is based on improving swing speed and Cobra backs that up with the inclusion of speed creating features. Maybe the biggest contributor to swing speed is the ultralight configuration that includes a reduced weight shaft and grip. With increased swing speed comes the increased possibility of leaving the clubface a little open at impact. To combat this, Cobra offset the clubhead making it easier to draw the ball. Heel weighting also increases the likelihood of the clubface being square at impact. Sadly, Cobra only offers the F-Max Irons with only steel shafts and the choice of regular or stiff flex. And when it comes to club configurations, there is only one and it includes 5-PW and a GW. For players feeling that they are lacking in swing speed, a move to the Cobra F-Max Irons could help add some mph and overall distance to their game. Face flexes and rebounds at impact, increasing the ball speed. Fantastic feel promoted by a polyurethane that fills the Speed Pocket and quiets vibration. Progressive offset promotes a square face at impact for straighter shots. Weight distributed for lower CG creating higher shots that land soft and stop. 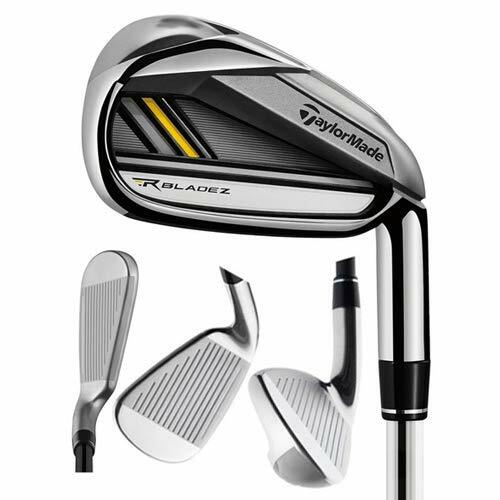 Taylormade RocketBladez 2.0 Irons are a balance between price and performance and a great set for those looking to shave some strokes without shaving too many dollars. The Rocketbladez line of irons has been relatively popular among budget-conscious golfers who are looking to get a quality set of irons at a reasonable price. Several important features are present on the Rocketbladez 2.0 including a Speed Pocket and Inverted Cone Design. Most speed pockets are left hollow, but Taylormade decided to fill the Speed Pocket on the Rocketbladez 2.0 with a polyurethane mix. The reasoning behind this is to dampen vibrations of the face and shaft while allowing for faster swing speed. Another feature is the use of an Inverted Cone Design that gives the face a greater area of forgiveness. So for those that do not always hit it directly in the center of the club should find some more distance and less spin. Sadly, only one club configuration is available for the set and no option for graphite shafts are available. Due to the price and the solid playability, the RocketBladez 2.0 are the best irons for average to high handicap golfers who just want to focus on working on their swing and contact. Mazel may not be a big golf brand, but its products offer players an economic choice that has the same playability as other larger brands. Single Length Iron sets have seen a rise in popularity over the last couple years with beginners thanks to their ease of use and great performance. The Mazel Single Length Irons are all 37.5 inches long and weigh the same amount to allow for a more consistent feel. Traditional golfers will need to get used to having longer wedges and slightly shorter long irons if they plan on using the Mazel Single Length Irons. Mazel also created a low center of gravity that helps create shots that fly higher and land softer than many other cavity back clubs. Thanks to the same length of each club, the center of gravity never moves and makes it very easy for anyone to hit great shots. One complaint about the Mazel Single Length Irons is that long irons tend to fly shorter while wedges go a little farther. This is to expected due to the way Single Length Irons play but can be overcome with a little practice. If you are in the market for a single length iron set at a great price, the Mazel Single Length Iron set is the set for you! High flight technology delivers distance, forgiveness and control from stainless steel irons. For those looking for a set of irons that also comes with everything you need to hit the links, look no further than the Callaway Strata Irons! 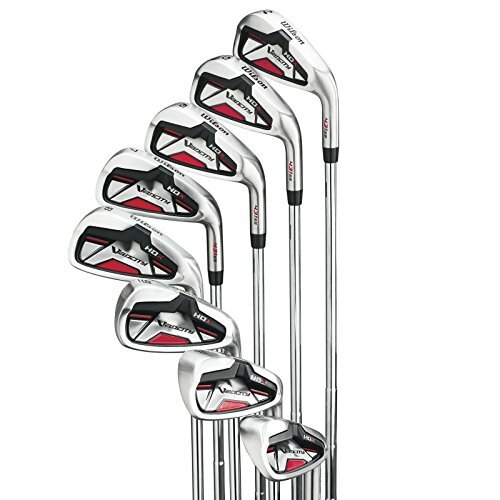 Usually, iron sets are sold without any other clubs or equipment like a golf bag. The Callaway Strata Irons are a little different since they come as a complete golf club set. This is perfect for anyone who wants a complete set that is from the same brand. The downside is that a full prepackaged golf set is usually of lower quality or the clubs included are very simplistic. This is true for the Callaway Strata Irons as they are a basic cavity back design that includes a very low center of gravity called High Flight Technology. One positive is that the irons are relatively easy to hit and have an average feel to them. The biggest drawback of the Strata Irons is that they are a little heavier than the average iron. For a beginner, this weight difference may not be that big of a deal, but for a more advanced player, the higher weight may affect their swing speed. 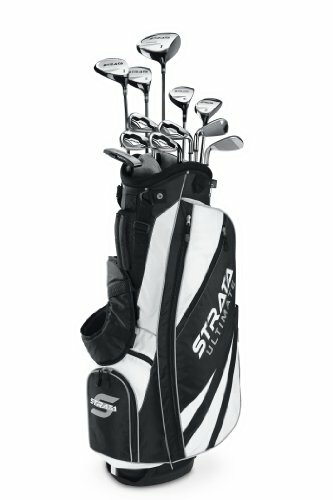 Although the Strata Irons are sold as a full set, the irons themselves are a good investment for a beginner and the other included clubs could be convenient if you have no other alternatives. Wilson’s Velocity HDX Irons are perfect for a beginner or those who are looking to get some scoring improvement thanks to their simple but effective design. As new players look to move from a beginner golf set to improvement irons, the Wilson Velocity HDX Irons should be considered due to their incredible value. Wilson created the Velocity HDX Irons to have a very low center of gravity to help promote higher golf ball launch and more forgiveness. A deep undercut cavity was also included to give the face more “pop” and greater ball speed. The main drawback of the Velocity HDX Irons is the lack of features and new technology that is present on other major brands. To make up for this lack of features, Wilson has made the price of the Velocity HDX Irons at the lower end of the spectrum for golf irons. Due to the price to performance ratio, the Velocity HDX Irons are the best golf irons on a budget. If you are a new golfer looking to upgrade to a set of game improvement irons on the cheap, the Wilson Velocity HDX Irons are the perfect solution! 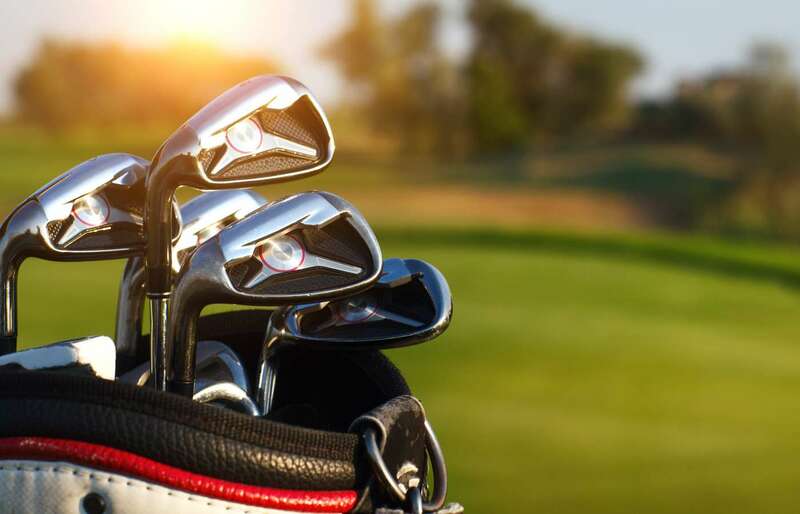 Pinemeadow is a maker of golf clubs and equipment at a rock bottom price, and the PGX Irons is no different, allowing almost anyone to get just what they need to start playing golf. It is no lie that golf is an expensive sport to get into, but Pinemeadow is trying to lower the barrier of entry for a lot of people with their line of golf clubs. Many beginners have been giving Pinemeadow clubs a try and have been satisfied with the performance to cost ratio. The Pinemeadow PGX Irons are based on a cavity back design that uses stainless steel for the clubhead and shaft. There are no fancy features or the latest and greatest technologies present with these irons, just great playability at an even better price. As with most things, as the price goes down so does the quality. 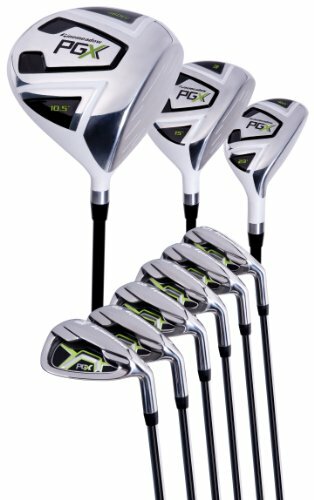 Now it must be said that the PGX Irons are not terrible quality, but they are not as high of quality as more expensive irons. Just don’t be surprised if the finish wears off of the club head or the shaft starts to rust a bit. Pinemeadow PGX Irons is one of the cheapest complete golf sets on the market and is perfect for the first time golfer who wants to find out if they want to continue with the sport without the huge initial outlay of cash. Irons are one of the more simple clubs in a golf bag but there are still some important things to look out for. The design, technology, and individual features are all important when trying to choose the iron set that is right for your individual game. So to help you choose, we broke down the three main differences in today’s golf irons. Blade Style golf irons also called muscle back irons, are usually made of a single piece of steel that is forged rather than cast. Blade irons give the best feel and playability, but lack a lot of forgiveness on mishits. This style of club is generally only used by advanced players that are looking for the best performance. The most common type of irons is cavity back irons due to their excellent forgiveness and solid distance. Cavity Back irons get their name from the cavity that is usually left behind most of the club face to encourage forgiveness. Most amateurs will be playing Cavity Back irons since they are the best all-around style. For players that have a hard time hitting the traditional Blade or Cavity Back Irons, Hybrid Style irons are also available. These irons have the same loft and face of traditional irons but have an extended tank similar to a fairway wood. This unique design allows for more stability and distance. Another thing to consider when purchasing a set of golf irons is whether the production of irons included forging or casting. Forged club heads are made using one piece of steel that is pressed between two molds to create its shape. Most Blade style irons are created this way since the forging process allows for a better feel. Casting, the process of pouring molten metal into a pre-made mold, is a common manufacturing method for cavity back irons. It is easier and more cost-effective to pour metal into molds to create the cavity in the back of the club than it is to forge it. Just like drivers and hybrids, irons come with different shaft types and stiffnesses. The most common shaft materials are either steel or graphite. Graphite shafts can sometimes be more expensive than steel. As far as stiffness goes, the three main types of staff stiffness can be found with most irons sets. On some of the higher-end sets, senior flex may not be available. If you are unsure of what type of shaft stiffness is best for you, talk to a PGA professional and they will be able to determine what would work best for your individual swing. Over the years, the number and types of golf irons available to players have grown substantially. In this same amount of time golf irons have also become much more forgiving and easier to hit compared to their predecessors. Today, the iron market is at its peak, and with so many different options one might find themselves overwhelmed. Despite the feeling of being overwhelmed, players should pursue a new set of irons to take advantage of new technologies that will help lower scores. Determining your skill level, budget, and what features you want to be included are the first steps to help zero in on what set is right for your individual play style. After you have determined the above factors, take a look at our reviews to get a better idea of what iron sets meet your needs and will perform the best. If you are still unsure, ask around the course or talk to a PGA professional for some ideas or recommendations. And remember, an investment in quality irons will result in clubs that can withstand several seasons of play before needing to be switched out. So before your next outing of golf, ditch your old irons and upgrade to a set of the most forgiving and distance creating irons to date! There are so many different types and sets of golf irons on the market today, which one to buy? With so many different factors involved and levels of play to consider, we have narrowed down the list to the top 16 available today. Austin is college senior at Wilkes University who in addition to studying has been playing and perfecting his golf game over the past 8 years. An advanced player he has extensive knowledge about the game and the equipment used. In addition to playing the sport he has also worked in a pro shop meaning he knows exactly what people are looking for and wanting in golf apparel and equipment. This along with his excellent writing abilities means he brings nothing but the best articles to the readers at Golf Accessories Reviews.